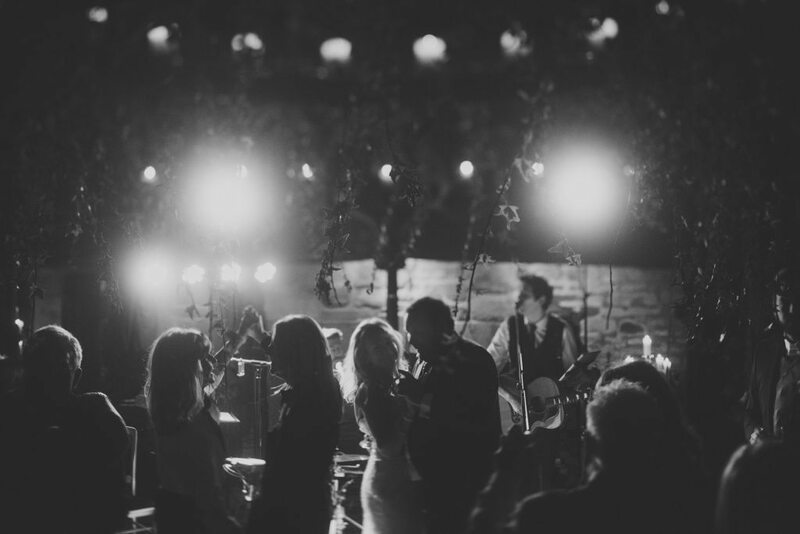 Your first dance can be anything you want it to be and live music creates the perfect atmosphere and setting to the beginning of the evening part of your day. If you were thinking a cd would be satisfactory, think again. The fumblings of the designated usher or bestman hitting the wrong button is an all too common mistake. However, if you really do decide you would prefer the original, then we can be ready to play your chosen first dance on the band IPod through a professional PA.
Do not worry about the style of music, choose the song for the words, and if that means you pick a fast upbeat song then dance however you want to. It’s your wedding, you don’t have to slow dance to a soppy generic love song just because thats what’s expected. If you and your fiance’s music tastes are a little different to the songs above (non top 40), maybe think about having an alternative rock song. Think about not just lyrics, but mood, melody and how they make you feel. Don’t be embarassed if you can’t really dance, just do your thing and everybody will love you for it! If you would like any suggestions or help with deciding on a first dance song, please don’t hesitate to drop me an email at liam@ashmoreacoustics.co.uk or call on 01948 820185.